When my 30th birthday was around the corner, I remember this gnawing sense of dread. There were so many things I had hoped to accomplish by the time I was 30 that I just never finished and I already felt like a failure. It seemed like such an “old” milestone and my youth was gone. A couple of years later, I discovered a lump on my breast and that began to change my life’s perspective. From the initial discovery, to the biopsy, to the results about two months had passed and in those eight weeks I reviewed my life. I pondered every corner of it. I challenged all of my motives and questioned all my dreams. Suddenly I wanted to hang on to my birthdays and celebrate them. My list of things I wanted to accomplish became more streamlined and focused on what really mattered in life. My desires were tempered with a new and different timeline. Those wiser than me have said “You don’t know what you’ve got until it’s gone”, and the tragedy of life is that most of the beautiful things are undiscovered until we embrace pain or loss. Somehow the dichotomy of beauty and pain work together. Pain serves as the setting on which Beauty, like a diamond sits. 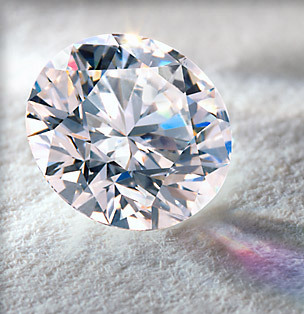 The brilliance of that diamond is seen when looked at in the light of Truth. I remember, before my biopsy results were in, calling a couple of women who were already in the fight of Breast Cancer. The things they shared with me caught me by surprise. Both of them said that they would not wish Breast Cancer on anyone, but they wouldn’t trade the experience because of what it taught them about life and the things that really matter. They shared their stories with me, their recommendations, and the things that mattered most. We cried together, talked a few more times, and prayed for one another. The end of those two months brought me good news. The tumor was benign. I sat relieved. Cancer was not part of my destiny, but it had already changed my perspective and my life. I wouldn’t know real joy if I hadn’t known sorrow. I couldn’t appreciate life if I didn’t realize its brevity. I couldn’t know healing if I didn’t know pain. These are the treasures that emerge from our broken world. These are the diamonds worth holding on to. For those of my readers who are battling cancer or terminal illness, I pray God’s peace, wisdom, and comfort. I also pray that you would have a fresh revelation of who He is and how much He loves you. May your story be a beautiful diamond in this broken world.